Take advantage of technological progress and obtain certification by attending our virtual classes hosted by leading industry trainers. Astra Nova’s webinars are a trusted way of regulatory compliance for thousands of professionals globally, as they provide the opportunity to participate in a live discussion with industry experts that elaborate on popular subjects, required by most international and local legislations. 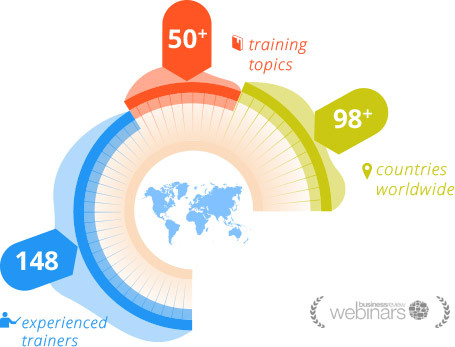 In partnership with the Business Review Webinars and in accordance to our global campaign Bii (Better Industry Initiative) We are happy to announce that we will provide you here with a list of free webinars you could attend. Please contact us if there is any specific topic you want to participate in in a form of a webinar. Get access to free learning resources and regulatory compliance courses, hosted in the most advanced Online Learning Environment.